One in five adults is unable to swim with 2.3 million of them wanting to learn. When adults are learning to swim they have very different motivations and needs compared to children’s swimming lessons. The Swim England Adult Swimming Framework is about improving confidence, competence and technique with no age limit. This online CPD has been developed with Swim England to help you prepare and deliver swimming lessons for adults. Level 2 Swimming Teachers who want to deliver swimming lessons for adults. 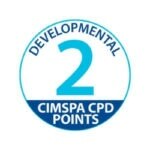 You should be able to complete this online CPD in two hours, although this may vary depending on each individual. You can close it and resume it at a later date if necessary (select resume when prompted). Please be aware that if you are using Windows we currently do not support the browsers Microsoft Edge or Internet Explorer with all our online learning modules. We strongly recommend that you use the latest version of Google Chrome. There are four sections of content and a quiz at the end which will test your knowledge and understanding. You will have unlimited attempts at the quiz.